My heart is so full from all that I want to share here today. Will you grab some coffee or hot cocoa and hang out here with me for a little while? But before we get started and it's too late, I first wanted to make sure you download your FREE COPY OF "Scared", by Tom Davis, 'cause today is the last day! So far I think they've had over 3000 downloads. One of the things JJ and I love about Tom is that he doesn’t just write about challenging situations, he lives them. As President of Children’s Hopechest (and co-founder of Saints Coffee), he spends a large part of the year on the ground in Africa with thousands of children who have been orphaned by the HIV/AIDS epidemic. He lives and writes from a place of knowing, hurting, searching and finding his passion which was birthed through Holy longing. He and his wife were also orphans, and they have adopted at least one orphan (maybe more, still need to get those details.) In any case, they are the real deal and their ministry moves me! Here is an interview I just watched that gives a peak into their story. One of the main characters in your novel, a twelve year old AIDS orphan named Adanna, was inspired by a real child. Can you tell us a little about the real Adanna and how she compelled you to write this novel? The idea of Adanna does stem from a real girl I met in Swaziland who was twelve years old at the time. She was a gorgeous little girl filled with life. Her joy was contagious and she just loved being around our group, hugging on various team members and playing games with us in the field. Both of her parents had died from AIDS and she was taken in by her uncle. Sadly, she became a slave for him and his family. Neighbors complained to the authorities that she was being abused and she was removed from the home. The only issue she struggled with besides being shy when she arrived at the orphanage, was one of incontinence. They thought the poor thing had never been potty trained. They took her to the doctor to find out what was wrong. The truth was almost unbelievable. Her incontinence was a result of the sexual abuse she suffered at the hands of her uncle and other men he had sold her to. I walked around the rest of that day in tears. I couldn’t believe someone would treat a child is such an evil way. Then those kinds of stories became more of the norm for me on the trip. The Adannas in Africa are real kids, with dreams and hopes of a good future. A future that won’t exist unless the body of Christ gets involved in their lives. Though this novel is hard to read in many places, one of the things I appreciated most about it was that you did not pull your punches. You unflinchingly portrayed suffering and heartbreak while weaving in mercy and hope. How did you find that balance? And did you struggle personally while telling this story? It was quite difficult. I wanted to write a story that was honest. It is graphic in places but I can assure you that orphans in Africa and around the world experience things much worse than what you read on those pages. That was one of the most difficult realities for me to swallow as I researched and wrote the book. Thinking about the abuse millions of innocent children go through every single day is a frightening truth. There came a point in the story when I couldn’t let one more terrible thing happen to Adanna. Originally, I wanted a scene in the book where Adanna was forced to sell her body in order to feed her younger brother and sister. It happens all the time in Africa. But I couldn’t do it. While reading SCARED I was struck by the characters – not just how real they were, but how they could be any of the people in my life. Which character do you relate to the most? Why? Stuart, without a doubt. He is me in many ways. My story is the story of a man searching for meaning in life and finding it the eyes of orphans. I think deep inside each one of us is a desire to help suffering children. It’s how God made us! Our hearts should break with compassion for the Adannas in the world. Even though Stuart has had great success in his life, he struggles to live with significance. Don’t we all to some degree? Of course raising godly children and loving our spouses is our first priority. But how can we invest our lives in ‘least of these’ Jesus talks about in Matthew 25? Their is so much eternal impact that comes from feeding the hungry and clothing the naked. That’s my journey and Stuart’s too! All fiction carries a message – something the author wants the audience to wrestle with. When readers turn the last page of Scared, what do you want them to take away? “We need the poor more than the poor need us.” Yes, Jesus wants us to care for the poor and love our neighbors as ourselves. But I need to love the broken and care for the afflicted, not because I’m Biblically bound, but because it’s what I was created to do. It’s what makes me the most alive. I have a feeling you will be hearing more here about Tom and his family/ministry to orphans. They are living out what JJ and I are very passionate about. We know the power that hope has to change the life of an orphan, and the beauty of adoption to forever alter the life of a family! After reading and watching Tom's interview, what is God stirring in your heart? What will you do today to pray for, support or love on the orphans God calls us to love; the fatherless and often forgotten? We can all pray and then take one step. Maybe order from Saints Coffee, sponspor an orphan or buy Tom's novel, SCARED, and pass it to a friend to spread awareness. I'm going to get us started by posting my prayer in the comments. Will you join me there? (Simply click on the word "comments" and type your prayer in the white box. If you don't have a blog, click anonymous.) I can't wait to read and listen in my heart to the echoes of our prayers ascending to heaven on behalf of these beautiful and precious children. PS. The winner of 1lb of delicious coffee from Saints Coffee, is Amy@LivinginHarmony. I hope the rest of us will visit Saints Coffee and order something. Remember 1/3 of the profits go to support orphans in Africa and Russia! Finding a Quiet Place, a free book & coffee to go with it! I love Jesus' invitation. He gives me permission to pull away from the needs that pull on me. I thirst for time alone with Him. I know I need the gift of rest He offers, but I'm not always in a place to receive it. I have to get intentional or it won't ever happen. I noticed today that Jesus invited his disciples in Mark 6 to change locations physically so that they could find refreshment and restoration spiritually and mentally. It's easier for me to rest when I pull away from the demands of life and my daily setting. What about you? Do you ever go somewhere without distractions and noises to spend time with Jesus? Sometimes this is my devotional time but sometimes it is just the chance to enjoy down time. One of my favorites things to do is pull away to a quiet place with a cup of coffee, my journal and a great book. Sometimes I'll read my Bible, other times I'll read a novel that stirs my heart and reveals God's truth in a new and creative context. With today's key verse in mind and some things God is teaching me about not expecting so much of myself but giving myself permission to pull away, I wanted to share with you two give-aways that include an excuse to do the same for yourself - coffee and a good read!! First, through this Friday, you can download a free copy of the novel "Scared" (More details at the end of this post.) Author, Tom Davis, along with David C. Cook Publishers is graciously offering this to our P31 family of readers and friends through Proverbs 31 Ministries' She Reads site. Second, I have the perfect thing to go with this compelling book - a pound of delicious coffee! Tom Davis is not only an amazing author, he's got a huge giving heart!He's also the co-founder of Saints Coffee (www.saintscoffee.com). His company gives 1/3 of their net profits to care for orphans in Africa and Russia. And he's offered to give me a pound of free coffee. I've decided to give it to one of you! If your name is picked, you can visit www.saintscoffee.com and let me know what roast and flavor you'd like and I'll send your request to him. To enter to win a pound of coffee for you (or a friend), click on the word "comments" below and type in the white box. If you don't have a blog, click anonymous. Please include your name, your email and let me know...(and if you don't like coffee, I'd still love to hear your thoughts). Where do you find that quiet place with Jesus where He promises rest? 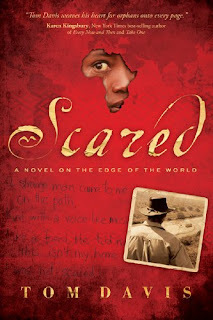 Then visit my friends at She Reads where you can download your FREE COPY OF Tom's NOVEL, "Scared." Sometimes I expect too much. We're heading to FL this evening for the RENEW women's conference in Milton, FL where I'll be speaking Friday night and Saturday morning. My family is going with me and we're staying to visit with my brothers, their families and my dad. I am praying our time together will be good. My dad isn't doing well mentally and he's unpredictable; always has been and it's gotten worse lately. I want to look forward to seeing him but I'm not there yet. And that makes me sad. One thing I am learning this week is to trust my Father in Heaven with the messy things of earth. It's been a challenging week. Lots of logistics to coordinate for our trip. New radio shows due Monday, radio recording Wednesday, unpacking from the mountains and packing for FL was somewhere in between. I got caught up in preparing for my event this weekend and some coming up next months and completely forgot about a radio interview I had. So embarrassing! Sometimes, I expect too much... of myself. Why do we expect ourselves to sometimes be super-human? Why do we focus on what we didn't get done instead of all that we did do? I know you know what I mean. It's hard when a deadlines and life are pressing in. Even when we try to take things off our plates, life piles on another helping of somethin'. Today, I wonder if you need to hear a friend say, "Girl, you are expecting too much of yourself!" I hope you'll give yourself grace. I pray you'll re-focus on what you have done, not what you still need to do. I want you to give yourself an atta girl and be proud of your accomplishments. No matter how big or small they are. You did them and they wouldn't have gotten done if you hadn't shown up and been faithful! And then leave room for things like reading a novel before bed, watching the Olympics and enjoying the final 24 of American Idol. I made myself do those things mid-week and walked away from unfinished business. I decided to lay down my manuscript and say, "Too much is going on this week but next week there will be room to write." I asked for grace from others by sharing with my radio producers during recording yesterday that I needed us not to push for perfection as hard as we usually do. Recording went well. I slept great last night and that little eye-twitch is gone today. In the morning, throughout each waking hour of my days I have cried out to God in my distress. And HE has shown me what needed to change - me and my expectations. Little by little, I have made small decisions of grace and He has made big changes in my heart. And then like a love note in my lunchbox, He sent me this encouragement through Twitter. In His presence we find grace and mercy in our time of need. In His presence we find a yoke that is so much easier than our own. Is there some "coming to Him" you need to do? Is there some grace from yourself and others you need to ask for today? NOTE --> For another chance to win Lysa's "Becoming More than a Good Bible Study Girl" DVD teaching, visit her blog where she is doing a give-away through the weekend! Today, the P31 Team is celebrating with a Carnival of Give-Aways, and we are inviting you to join us! I'm celebrating the release of our first ever Bible Study DVD teaching at Proverbs 31 Ministries - taught by one of my closest friends and soul sisters as well as President of our ministry - Lysa TerKeurst! "I am currently leading a group of 10 women through your DVD study, Becoming More than a Good Bible Study Girl. You (Lysa) are that encouraging and wise girlfriend that every bible study group needs. What makes your study so wonderful it is that so USEFUL. You give us the words to pray. Ideas to act on. Spiritual exercises to do. This is really a tremendous contribution you have made to building God's kingdom." Today, you could win a copy of Lysa's Becoming More Than a Good Bible Study Girl 6-week DVD Set. Click here to find out more about it, then come back and let me know why you want to win it! the white box. If you don't have a blog, click anonymous. Be sure to leave your EMAIL so I can contact you if your name is picked!! And for Facebook Friends, I'll be giving away a copy of my message "Living Beyond the Shadow of Doubt" on DVD. If you are a blogger and a face-booker, leave a comment here and on my FB note or wall today, and you'll be entered for a chance to win both! If we aren't friends yet on FB, send me a request so we can be! Wendy Blight is giving away a copy of the One Year Chronological Bible and her book Hidden Joy in a Dark Corner: The Transforming Power of God's Story. Shari Braendel is givng away 3 beautiful jewelry pieces to begin a spring wardrobe with! One for a Glamour Girl, one for a Movie Star and one for a Rock Star! Micca Campbell is giving away her book An Untroubled Heart, and a cute clutch purse for those fun summer evenings! Melanie Chitwood is giving away One marriage conference call (see her blog for details) and her new book What a Wife Needs from Her Husband. Lynn Cowell is giving away a prize for mom and a prize for a teen girl in her life – the 3 book series B.A.B.E. series by Andrea Stephens (Beautiful, Accepted, Blessed, Eternally Significant) for the teen and for Mom a $10 gift card to Starbucks along with Lynn’s CD “Building a Bridge to Your Child’s Heart”. Karen Ehman is giving away a Winter White Basket that includes Skin Milk body wash, a white loofah, Winter White Citrus Bath & Body Works products, white lily linen and room sprays, white hot cocoa, a white mug and white-chocolate macadamia nut cookies. Along with it, a copy of her book on celebrations entitled Homespun Memories for the Heart: More Than 200 Ideas to Make Unforgettable Moments. Suzie Eller is giving away a webcam! Zoe Elmore is giving away a journal, a copy of My Heart's Cry by Anne Graham Lotz and a piece of jewelry Zoe style! Charlene Kidd is giving away a $20.00 Starbucks Gift Card and a copy of Karen Ehman’s book: A Life That Says Welcome, Simple Ways to Open Your Heart and Home to Others. Tracie Miles is giving away her CD "Overcoming Stress with Extraordinary Faith" and a Soulmates Slipper with Christian Notepad and Pen. Rachel Olsen is giving away Bread for Life": a hardback copy of The Daily Message: Through the Bible in One Year by Eugene Peterson (which you can read this along with her this year) and the Williams-Sonoma Muffins cookbook. Luann Prater & www.EncouragementCafe.com are giving away an Encouragement Cafe mug and t-shirt at both sites! LeAnn Rice is giving away a copy of her cookbook Sharing Grace: Recipes- Family Traditions-Gift ideas and a Starbucks gift card. Susanne Scheppmann is giving away her Birds in My Mustard Tree Bible Study with an I-tunes gift card. Lysa TerKeurst is giviving away a Mom's Book Club gift pack including 4 copies of Lysa's book, Am I Messing Up My Kids? and a 30-minute Q&A conference call with Lysa. She Reads is giving away two novels, Watch Over Me by Christa Parrish and Screen Play by Chris Coppernoll, and chocolate, courtesy of the authors. They will tell the story of how their writing brought them together - a love story, quite literally, fit for a novel! RadRevolution Our ministry to teen girls is giving away a copy of Do the Hard Thing along with a RadRev t-shirt! One night my family was all snuggled on the couch eating popcorn and watching a movie. We were spending quality time together but then I got distracted. I was still there physically but I started returning phone calls and emails mentally. I glanced at the clock to see how many hours before the kids went to bed and noticed the silhouette of my son Joshua’s face. He looked so grown up. He was ten years old then, but it felt like he should still be a toddler. I knew it wouldn’t be long before he’d be counting down the hours until I go to bed, so he could instant message his friends. Suddenly, I recognized the gift of being with the ones I love while they’re still with me. Now he's almost 15 and, oh my it's gone by so fast! I hate to admit it, but there are many times when I’m with my family yet I'm not really there... because my mind is somewhere else getting something done. Jesus knew His stay here on earth was limited. I love how intentional He was about loving people with his time and attention. I never get the sense that He saw people's requests as interruptions but instead, He welcomed them as invitations. Unlike Jesus, I am a type A, get-it-done, kind of girl. Just “being” can be hard for me. Over the years, I've learned to take my struggle to God and ask for balance. He wired me this way, so He’s the only One who can make me more like Him. When I spend time with Jesus, He challenges me to slow down and helps me cherish the gift of my husband and children. He knows how important they are to me, but He also knows how I can get tangled up in my to-do list. He’s helped me see my family as my greatest treasure and my time with them as my most important investment. Although the years have mellowed me and I'm so much better than I used to be, it still doesn’t always come naturally. So when I am with my family and I get distracted, I do a few things to help me stay focused. First, I look into one of my kids' faces and remember what they used to look like. That helps me grasp how quickly time passes. Second, I think back to what life was like without them. That jolts my memory; making me thankful God gave them to me. Third, I imagine the day they won’t be with me - the day they may live in another state with their own family. Then I remind myself that “to do lists” will always be here, but the ones I love won’t. Let’s make a pact today to slow down and really be with the ones we love and love the ones we’re with, while they are still with us! Jesus, thank You so much for the people You have given me to love. Help me slow down and savor every moment as I see them through Your eyes and love them the way you love me! Remind me daily that only two things will last for eternity - my relationship with You and my relationship with others. In Your powerful Name I pray, Amen. Is it hard for you to be fully present with the ones you love…no agendas, no errands, no planning…just being? I'd love to hear your thoughts? I'll be drawing a name from today's comments and GIVING AWAY a copy of "Living the Love Dare" ~ a year of daily reminders in a table-top format. This post is part of my friend Rachel's carnival of LOVE devotions. Tomorrow P31 is hosting a Carnival of Give-aways where over 15 of us are giving away something on our blogs, so be sure to come back tomorrow to find out how you can win! Our family packed up yesterday and headed to the NC mountains!! We'll be here all week skiing, playing in the snow and snuggling by the fire. I am going to "unplug" from the internet and totally plug into time with my family. I am so looking forward to this little winter get-away. It's absolutely beautiful and we're expecting tons of snow. In fact my guys are going to ski all day today because it's supposed to be blizzard-like conditions tomorrow. I've got some great give-aways next week that include author interviews, free books, delicious coffee and a big announcement. Several of my P31 friends (listed in my blogroll) are doing give-aways this week so be sure to pop over to their blogs, say hi and enter to win! A Time to Give (and maybe receive, too)! "Speak up for those who cannot speak for themselves"
I am very proud to partner with Compassion International as they seek to rescue children from poverty, in Jesus' name. I have seen first hand their work in the poorest communities in Ethiopia, my sweet Aster's home country. We got to see Jesus through Compassion's work there when we traveled to Africa to get Aster last October. We saw firsthand, they are the real deal! Their work is changing lives, families and entire communities. When the earthquake hit Haiti, Compassion had a team on the ground within 24 hours. They were providing emergency relief and preparing to help rebuild. My friends at She Seeks were inspired by Compassion's efforts and have issued a Speak Up challenge in response. I would love for you to join them. They are up to very cool things! Give to Compassion's Haiti Disaster Relief fund HERE! This is a time to give! But it's also a time when some friends of mine want to bless you with the opportunity to RECEIVE as well! My friends Lysa is giving away an amazing Bible Study gift pak that includes a book, a DVD set with 6 weeks of great teaching and a study guide to go with it. I have all of these and oh my goodness, this is something you want to win!!! 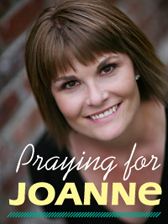 My friend Karen is doing a fantastic marriage give-away on her blog. It includes a couples 'basket-in-a-box' centered around Bill and Pam Farrel's best-selling book Men Are Like Waffles; Women Are Like Spaghetti: Understand and Delighting in Your Differences. There are some other fun guy and girl items as well. Oh, I want to win this one too! Instead of leaving comments open today, I'm going to close them and encourage you to head on over to all these amazing places - to give and maybe receive, too. Oh, and one more thing...I'll be speaking in Palatka, FL this weekend at the Women's Spiritual Life Retreat on Friday night Saturday at Ravine Gardens State Park Civic Center. I would love to meet you there! Click here for more details. Today is one of those days where the number of things I need to get done is much greater than the number of hours in my day. This morning when I woke up, I knew I had a choice - worry or worship. I didn't want to worry about the hows and whens. I wanted to be able to focus on one thing at a time and find peace and joy in the midst of it all. The only way I can do that is by taking my worries and letting them catapult me into worship - by focusing on Jesus and WHO He is, rather that on my tasks, who I think I need to be or what I need to get done. I laid in in bed before my alarm went off rehearsing in my mind who Jesus is. I thought about what I needed and then thanked HIM specifically for being those very things: able, loving, kind, wise, discerning, full of grace and truth, all-knowing, caring, compassionate, and the list went on and on... until HIS peace came over me. A peace that comes when I position my heart to worship instead of worry. A few minutes ago, I opened my inbox to read my P31 devotion and it couldn't have been more perfect timing for what my heart needs to remember today. I need "God's Positioning System" found through prayer to guide and guard my heart through out my day. It was a drama-packed day. Jesus' cousin, John the Baptist, was dead because a drunken king chopped off his head. Jesus tried to get away to deal with the news, but crowds of people called his name. He healed the sick. He fed over 5,000 people with a few fish and loaves of bread. These miracles caused the crowd to press in closer, to shout louder and to demand more from Him. It also caused conflict. No; he's dangerous; kill him! Sometimes life gets complex. Many times we just keep on going even though we are pulled between the demands of the people we love – Feed me! Love me! – with those feelings festering just under the surface. But what happens when you arrive at ground zero emotionally because of loss or pain or fatigue? What did Jesus do? When His day was finally done, Jesus hiked into the mountains to pray. He needed strength. He needed guidance. He needed to be refreshed spiritually and physically. Jesus settled in to talk to His father. I'll be honest. When I'm at that place, the temptation is to wrap up in my favorite blanket, turn on a mindless TV show, and veg. But what waits for me in that alone place with God? He knows us better than anyone else. He's willing to carry our burdens, soothe our hearts, and that prayer time becomes a shelter, an oasis where we are revived. At that point it's not about the time we spend, or even the words that we say, but what we discover when we settle in. Prayer becomes our heavenly GPS system. An earthly GPS system contains atomic clocks that are accurate to a billionth of a second! No matter where you are, it can find your location and give you direction. Think about this: The God of the Universe is greater than any earthly GPS. God knows where you are, where you are headed emotionally, and how to recalculate so that you can find your way back to sanity, peace, and even to joy. Dear Jesus, You know what it is to be emotionally and physically spent. You know what it is to hurt, to grieve, to long for quiet and peace and healing. Thank You that You understand how I feel, and that You carry my burden when it's too big for me to carry alone. I adore You. In Your Name, Amen. © 2010 by T. Suzanne Eller. All rights reserved. For more application steps, reflections and power verses from Suzie's devo, click here. A strong oak or a pitiful pine? Before Christ, I felt like a weak and wimpy pine tree. Tossed by the winds of my emotions. Defined by my circumstances. Uprooted by life's storms. Despair was my story. But in CHRIST...I am rooted in God's love. With CHRIST... I am trengthened by life's storms and transformed by trials. Because of CHRIST...I am an oak of righteousness; planted by the Lord for HIS glory! We may not always feel like it, but that is what WE are! The winner of my gift card give-away is...Lindsey. I'll be in touch Lindsey to get your mailing address and find out where you'd like to go with your gift card - Bath& Body Works, Starbucks or Target? All of your comments were so amazingly beautiful, real and very insightful. Thanks for being willing to share them!